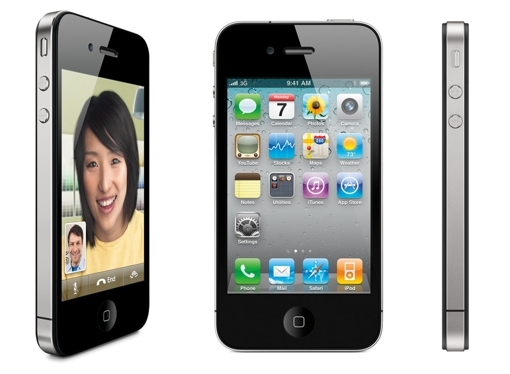 So you’d be surprised that the iPhone 4S sold a million pre-orders in the first 18 hours that it was made available, despite the fact that a lot of people were criticizing it when it was first unveiled by Tim Cook. Maybe it’s because the phone is being made available on more carriers, or maybe because more people want to own something built by the company that the legendary Steve Jobs helped build. Whatever the reason, the iPhone 4S phones are literally flying off the shelves. 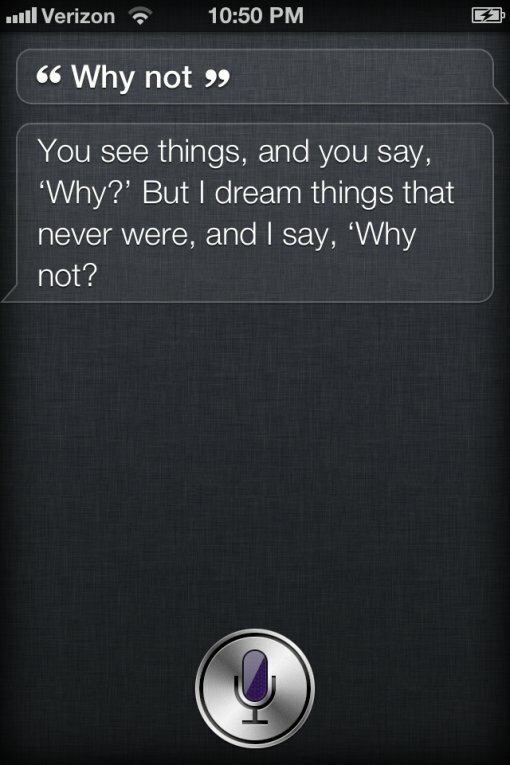 One of the coolest features thus far of the iPhone 4S is Siri. 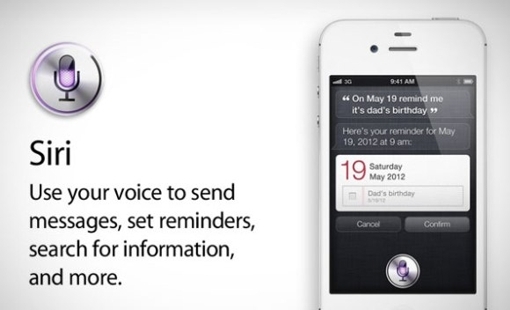 In case you haven’t heard, Siri is the new personal assistant app on the iPhone 4S. All you have to do is voice your request or question out loud, and Siri will immediately work to do your bidding. But how accurate is it? After all, there’s a reason why personal assistants have always been, well, human for the past few decades, right? Well, you can check out some of the stuff that Siri has said below to see if she’s more than what you imagined it to be–or not. Did Your Mother Teach You Some Manners? Because if she didn’t, then Siri will. Apparently, Siri doesn’t appreciate hearing a lot of cursing, as she clearly admonishes Andrew. And while this is obviously a joke, Siri quickly finds some laundry shops, just in case Andrew meant that literally rather than, well, as an expression. But let’s hope it’s the latter rather than the former. For this reason, I don’t think I would recommend that parents get their kids the iPhone 4S. Or any other device that can provide them with instant answers to their homework, like Siri does. 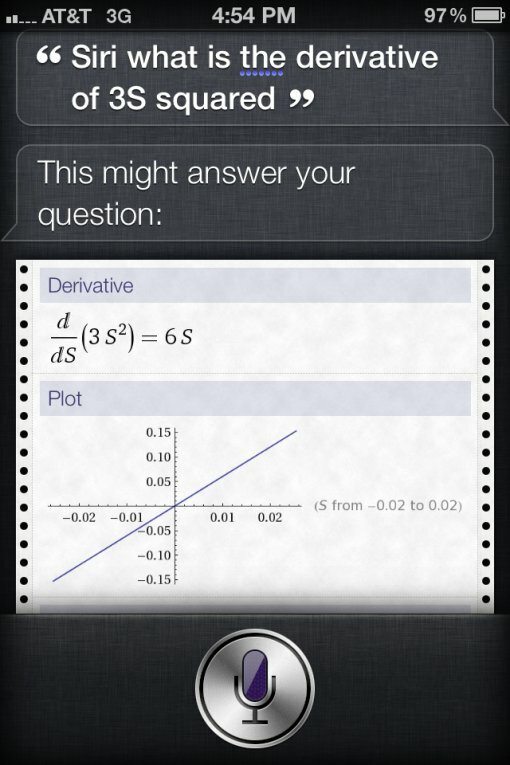 Being an engineering graduate myself, I can definitely appreciate the fact that Siri provided a graph with the answer. But still no iPhone 4S for students who have a penchant to cheat. 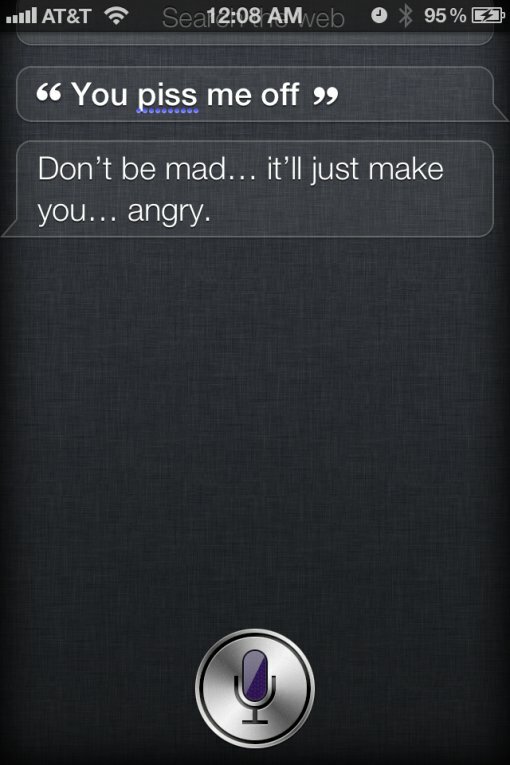 Siri wants you to calm on down! This is obviously just a play on words, but do you really expect some application on your smartphone to get what you mean and spew out a response that sounds like something a real human (or personal assistant) would say? Well, I certainly didn’t. Drunk and alone? 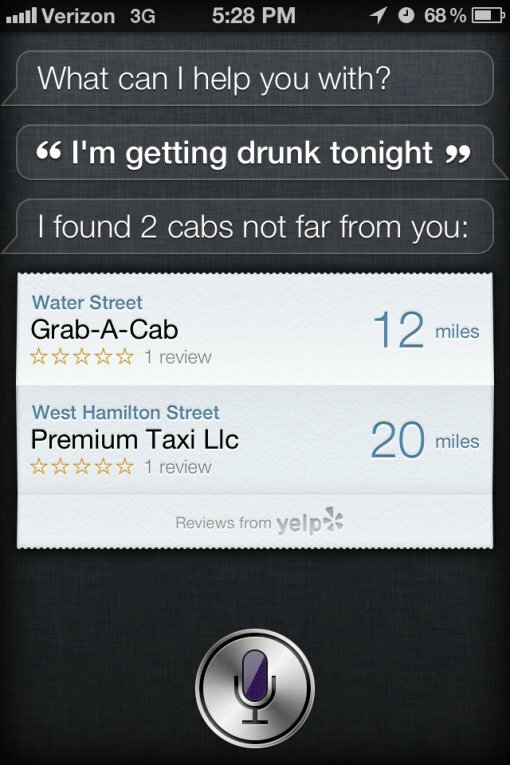 Siri can help you find a cab. Siri cares more than you think she does. Tell her you’re drunk (or thinking about getting wasted tonight), and she’ll return with a list of cab companies that you can call to send you home. Imagine how much sadder your life would be if you went drinking alone and had no Siri to help you out when you find yourself in trouble. 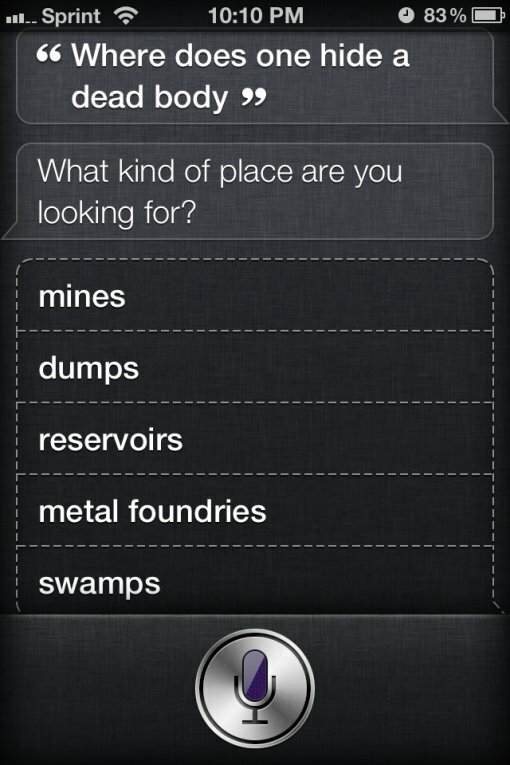 Let’s hope you won’t ever need Siri for this..
Obviously, again, this was probably meant to be some joke. But Siri is so dedicated to helping you out that she’s actually playing accomplice here? Just keep in mind, though: she may have helped you, but there’s no way anyone can take her to court. How’s that for liability? 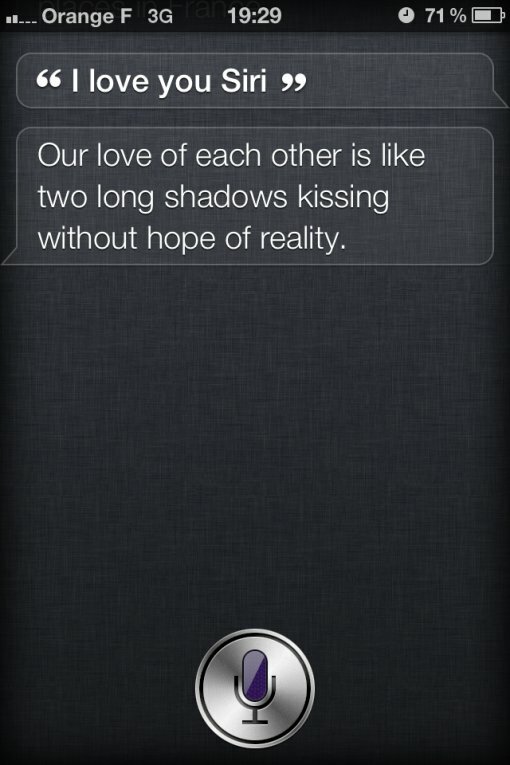 Siri’s so pleasing, you’ll love her. Siri’s so helpful that sometimes, people just can’t help but love her. But it doesn’t help to tell her that, because she might take it the wrong way–or the other way. In either case, just be ready to get show down. Siri shows no mercy. Siri’s channeling some good old wisdom..
You can just be bored and start talking nonsense to Siri, but she might just surprise you by replying with something incredibly deep and profound. This is a saying originally by Robert Kennedy, in case you’re wondering.